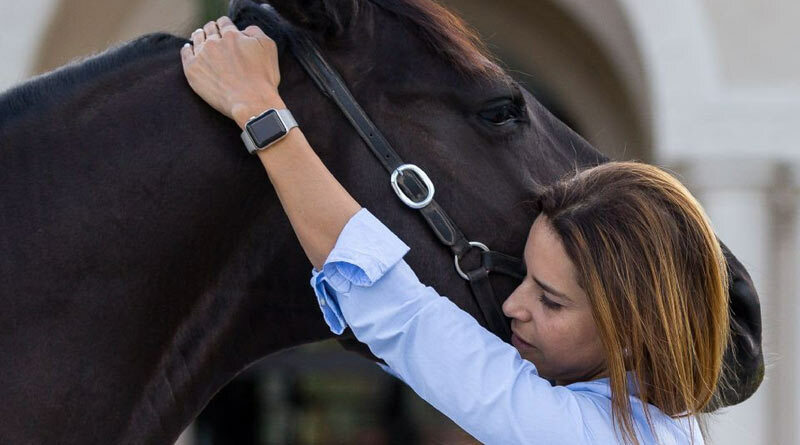 Treating equine injuries with both alternative therapies and conventional medicine is a perfect approach, according to Florida veterinarian Dr Natalia Novoa, a specialist in chiropractic treatments. Novoa, who has worked at the Palm Beach Equine Clinic since 2011, said chiropractic adjustment was useful for horses with injuries or soreness issues, “but it’s also something that is very important for maintenance”. “You want to prevent problems instead of treat them. If a misalignment happens, that creates incorrect friction, which then leads to pain in the joints, muscle soreness, and stress on the tendons and ligaments, possibly leading to a soft tissue injury,” Novoa says. While each veterinarian who incorporates chiropractic adjustments in their treatment options do so with their own style, Novoa has developed her own five-step system that she finds most effective. While Novoa doesn’t travel with a crystal ball, her skill at reading a horse leads her to the second step. A scan of the acupuncture points on a horse, which Novoa calls an “acuscan,” is always her next move. She checks the main acupuncture points from head to tail by using her tool of choice – the round end of a needle cap. This allows her to put firm pressure on a very specific point and then evaluate the horse’s reaction to that pressure. After scanning the horse, Novoa likes to always see the horse move to dig deeper into any reactions she noticed while checking acupuncture points. She starts at the walk and then observes at the trot. After her secondary scan, Novoa formulates a short and long-term treatment plan. In her experience, adjustments last for four to six weeks before a follow-up adjustment is indicated. If certain chronic injuries are flaring up, a horse may need an earlier follow-up.